Your de facto starting point is the Home page. This is your Dashboard and it has several tabs. Right at the top, you will see a curated list of Insights under the My Reading List tab. These Insights represent a subset of all the Insights published on Smartkarma. The Insights shown are selected for you based on your investment style and geographic focus and thus focus content relevant to your investment decisions. In addition, you will also see a Discussion Stream on the right-hand side that shows the on-going discussions on various topics and Entities within the community. 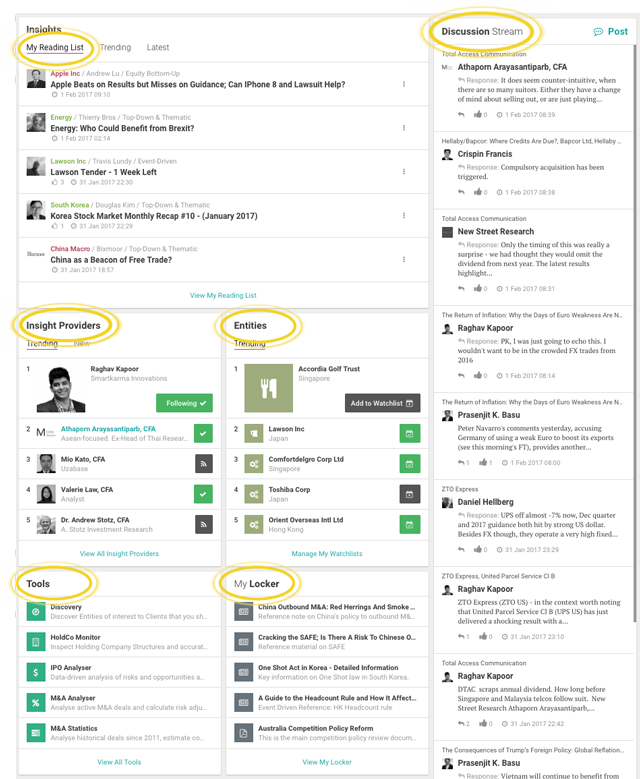 At the bottom of the page, you will see trending Insight Providers, trending Entities, Tools and your Locker.